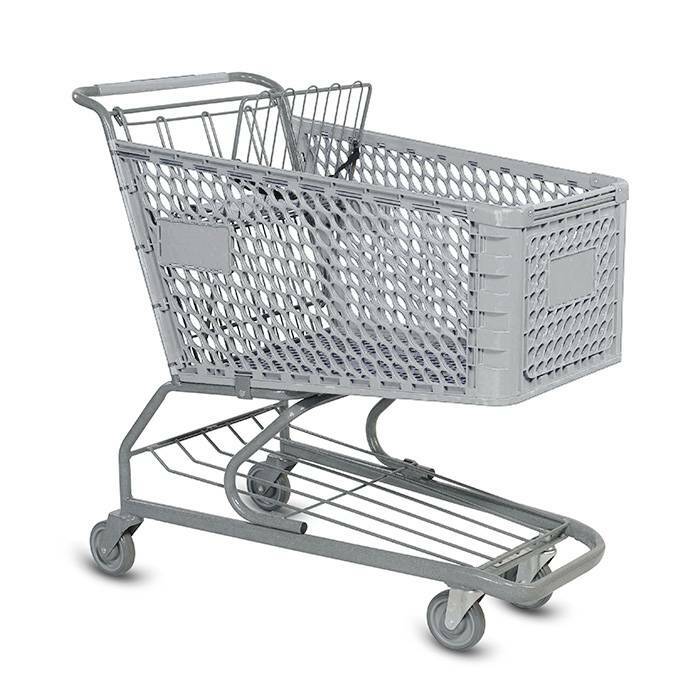 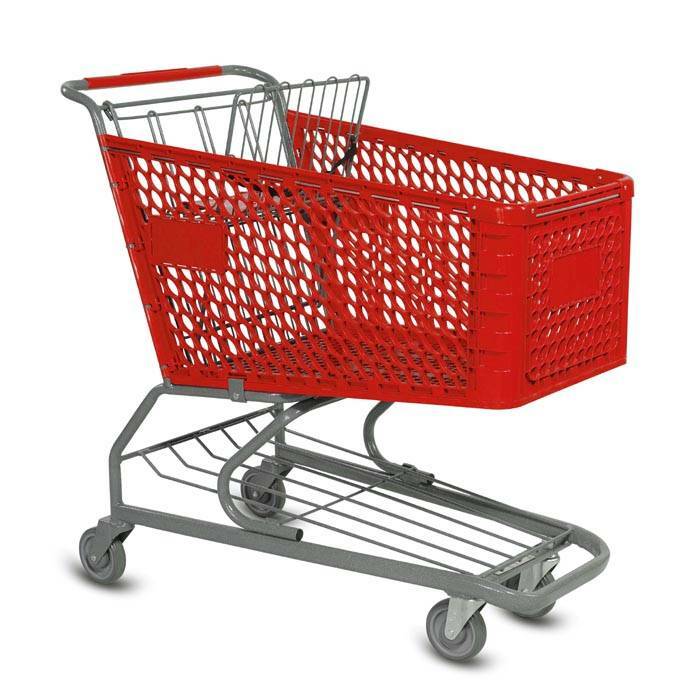 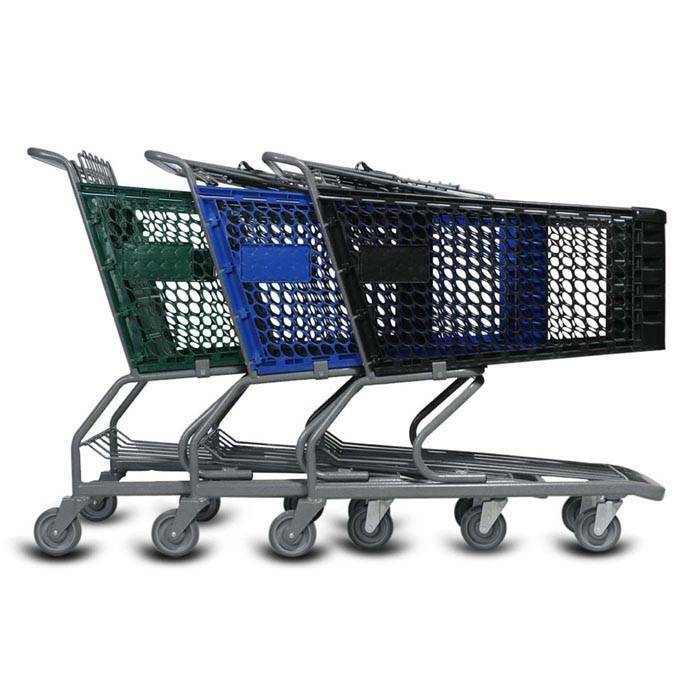 This heavy duty plastic shopping cart is ideal for large warehouse style stores, clearance centers, and supermarkets. 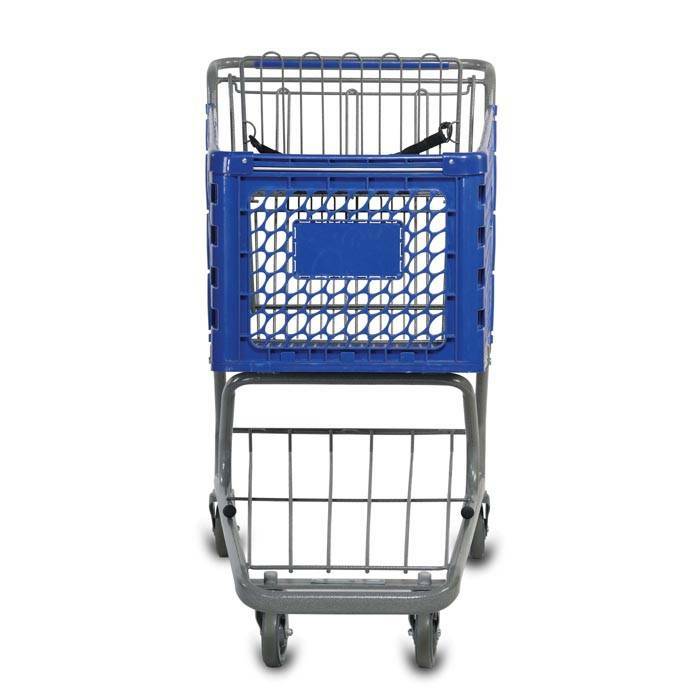 If you look closely, you will see the plastic basket has a new modern lattice work with ovals. 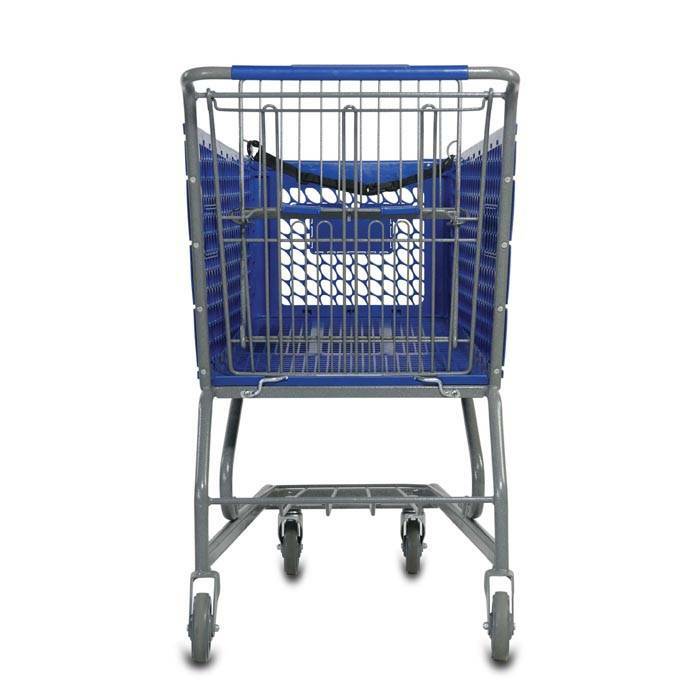 The plastic basket reduces the weight which helps to reduce wear and tear on the wheels. 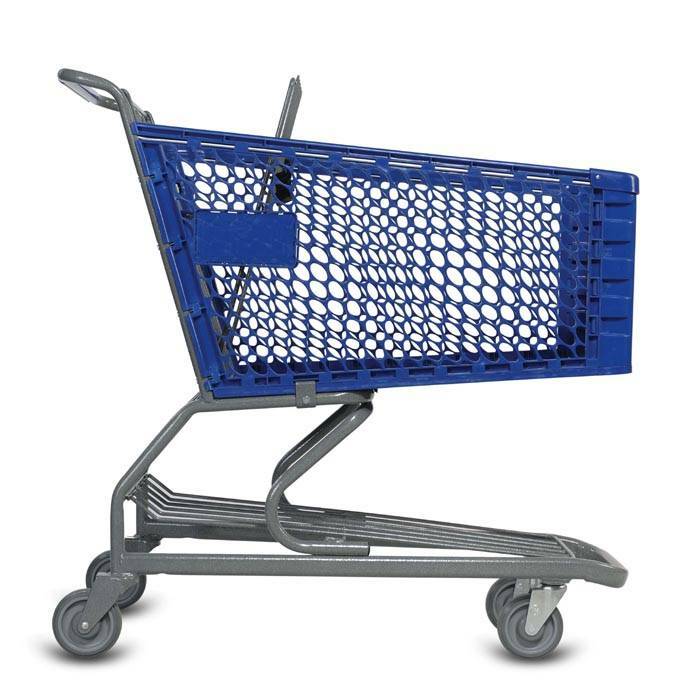 The plastic shopping cart also cuts down on damage to cars and fixtures.